11 days, 18h:19m:02s £11.06 Buy now! 4 days, 21h:03m:53s £2.00 Buy now! 11 days, 18h:11m:02s £44.36 Buy now! External ROM 32KB for ZX Spectrum 16K / 48K 0 days, 20h:29m:33s £16.59 Buy now! External ROM 32 KB - DIY Kit for ZX Spectrum 16K / 48K 0 days, 20h:35m:45s £14.93 Buy now! Zx Spectrum 16k/48k keyboard replica cover plate (faceplate) YELLOW 0 days, 20h:39m:22s £15.88 Buy now! Zx Spectrum 16k/48k keyboard replica cover plate (faceplate) GREEN 0 days, 20h:40m:23s £15.88 Buy now! ZX Spectrum 16k/48k keyboard mat replacement RED 0 days, 20h:42m:23s £10.88 Buy now! ZX Spectrum 16k/48k keyboard mat replacement Green 0 days, 20h:42m:23s £10.88 Buy now! Soundcard Interface DIY Kit for ZX Spectrum 16K / 48K 0 days, 20h:43m:24s £22.40 Buy now! Harlequin 128K rev 1B Sinclair ZX Spectrum 128K clone DIY kit 0 days, 20h:56m:01s £79.91 Buy now! Sinclair ZX Spectrum Game: The Empire Fights Back 0 days, 21h:51m:18s £0.99 Bid Now! Sinclair ZX Spectrum Educational Software: Fun School 4 for 5-7 year olds 0 days, 22h:01m:31s £1.99 Bid Now! Sinclair ZX Spectrum Educational Software: Fun School 2 for the over 8s 0 days, 22h:09m:45s £1.99 Bid Now! Sinclair ZX Spectrum Game: Jungle Fever by A&F Software 0 days, 22h:18m:56s £0.99 Bid Now! Sinclair ZX Spectrum Game: Rally Driver 0 days, 22h:32m:08s £0.99 Bid Now! Sinclair ZX Spectrum Game: Beach Buggy Simulator 0 days, 23h:04m:05s £0.99 Bid Now! Sinclair ZX Spectrum Game: Project Stealth Fighter 0 days, 23h:14m:32s £4.99 Bid Now! Sinclair ZX Spectrum Game: Butch Hard Guy 0 days, 23h:14m:32s £0.99 Bid Now! ZX Spectrum Utility: H.U.R.G. 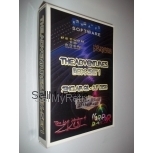 Real Time Games Designer 0 days, 23h:18m:35s £2.99 Bid Now! @RARE@ Sinclair ZX Spectrum Game Pack: Grand Prix Selection 0 days, 23h:18m:35s £4.99 Bid Now! Sinclair ZX Spectrum Game: Violent Universe 0 days, 23h:28m:35s £1.99 Bid Now! Sinclair ZX Spectrum Game: Confuzion 0 days, 23h:28m:35s £1.99 Bid Now!